Is there any significance to the fact that the Muslim riots in France began right after the anniversary of the Battle of Tours, where in 732 AD Frankish Prince Charles Martel smashed the Islamic armies of Abd ar-Rahman and stopped the Moorish advance? The 9/11 attacks occurred on a feast day for a 13th century German saint who died on his way to the Sixth Crusade. The March 2004 Madrid subway bombings took place on a Christian feast day marking the beheading of a Spanish bishop at the hands of the Muslims of the Cordoba caliphate. July 7, date of the first London transit bombings, is the feast day of English Catholics martyred under Henry VIII, and one of the only days on the Christian calendar marking English saints or martyrs. The July 21 London transit attack coincided with the Christian feast day commemorating a 17th century German prince who defeated the Muslims in Hungary. 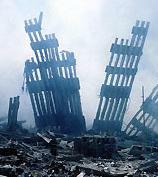 I raised these coincidences last September 11. Now come the riots in France that are spreading to other countries in Europe. Radicals in a Muslim ghetto started the attack against France on October 25, pelting Interior Minister Nicolas Sarkozy with stones and bottles as he pledged to rid predominantly Muslim immigrant slums of "gangrene" and "rabble." October 25 is one of the two dates (the other is October 10) on the Gregorian Calendar marking the Battle of Tours (Poitiers) in 732, when Prince Charles Martel and his Christian army defeated a far larger invading army of Moors, slaying Spanish Muslim Governor Abd ar-Rahman and stopping the Islamic advance on the rest of what is now France. The Christian church does not observe the Battle of Tours as a feast day. For now, the coincidences of dates remain merely coincidences. Let's keep watching.